It’s that time of year when the zucchini can start to come on at a furious rate. I’ve only got one plant and it is keeping me happy with zucchinis. Checking them every day keeps them from become as big as tree trunks. But what to do with them? 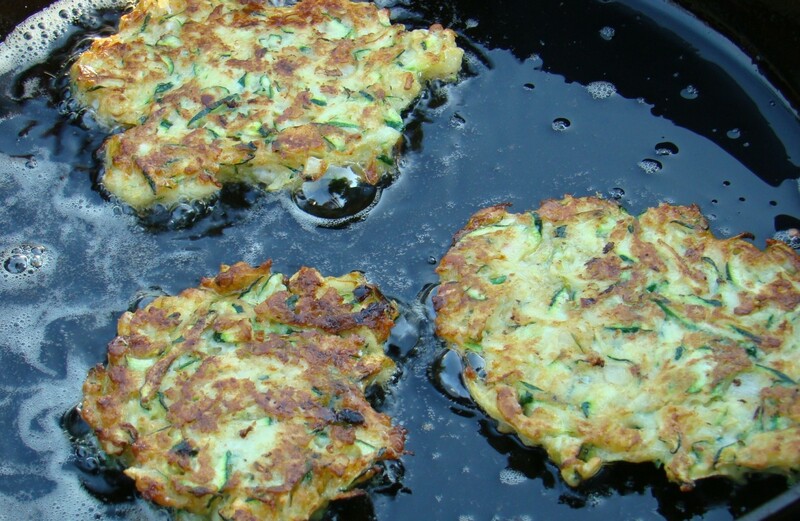 I’ve made zucchini cakes before so thought I’d share them with you today. 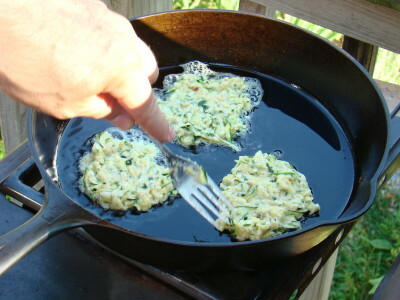 Simply put they are grated zucchini with a few add-ins, pan fried in a little olive oil. Line a bowl with a cotton dish towel (not terry cloth). 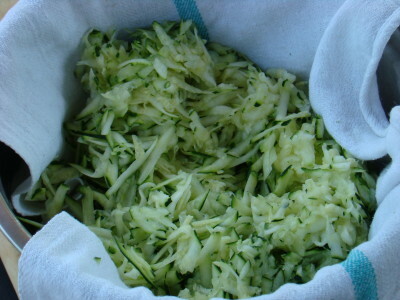 Grate zucchini into the bowl. 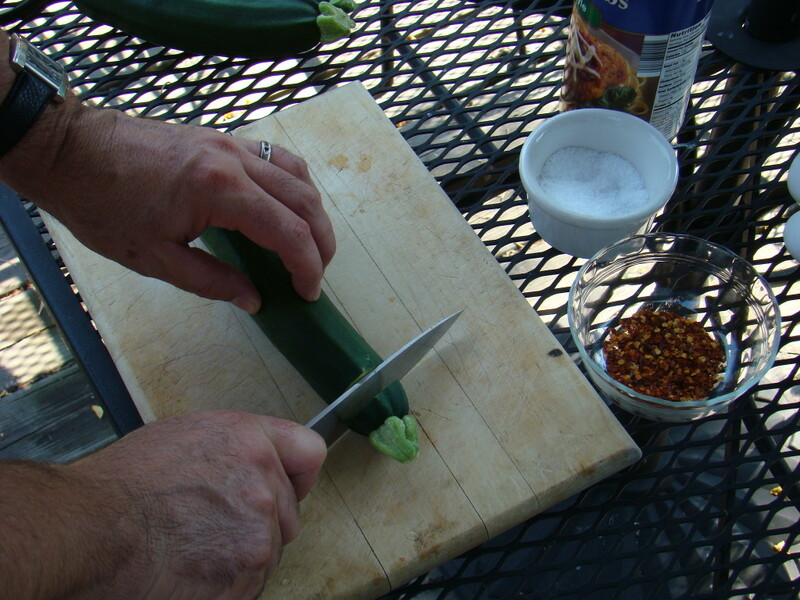 Wring out the zucchini. Keep the zucchini juice for soup or, drink it as I did. Refreshing! To the grated drained zucchini add the cheese, shallot, garlic, eggs, bread crumbs, flour, baking powder, and a pinch of salt, pepper flakes. Stir to combine. Heat 2 tablespoons olive oil in a skillet over medium high heat. Spoon about 1/4 cup for each cake, flatten with a fork. Fry until brown, flip and brown other side. Plate, garnish with some chopped parsley and serve with dressing of your choice. I used Bleu cheese. Ranch would be good too. >Great Mrs. Pickles! They are delicious you could top them spicy or perhaps a dab of sour cream or plain greek yogurt. I'll be making these again! >They do look very appetising! If you had ripe tomatoes available, a topping of fresh tomato salsa on those zucchini cakes might work well perhaps? >Great Idea Mark! I think that would be good! Enclose the three shredded vegetables in a clean kitchen towel; wring over sink to remove as much moisture as possible. Place vegetables in large bowl and immediately mix in bell pepper, onions, egg, bread crumbs, salt, and pepper to blend thoroughly. In large nonstick skillet, heat 2 teaspoons of the oil over medium-high heat. With 1/4 cup measure, portion mixture into skillet to make four pancakes, pressing down to flatten each mound to about 1/2 inch, and spacing apart. Fry until well browned on bottom sides, about 4 minutes. Flip and brown reverse sides. Remove with spatula and drain on paper towels. 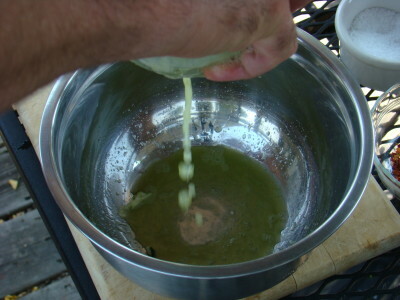 Repeat with remaining oil and potato mixture. Serve hot with sour cream, if desired. Makes 4 servings, or 12 (3-inch) pancakes. >These really look delicious. Think I will try making your zucchini cakes, David! >Thanks Granny! I'll give those a try! sounds delicious! Egretta, That makes me happy! Let me know how you like them! >I'd never heard of zucchini cakes and suddenly, within the last half hour, I've come across 2 recipes for them. I think it's a sign that I had better add zucchini to Saturday's farmer's market shopping list. 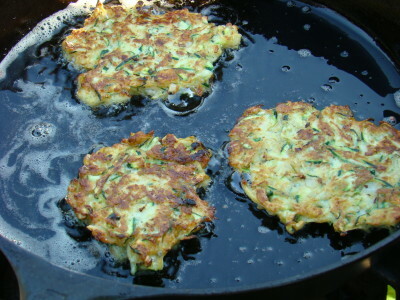 It looks like zucchini cakes will be on the menu sometime this weekend. Thanks, David, for sharing. >Excellent John! They are very flexible for add-ins. >Delicious! 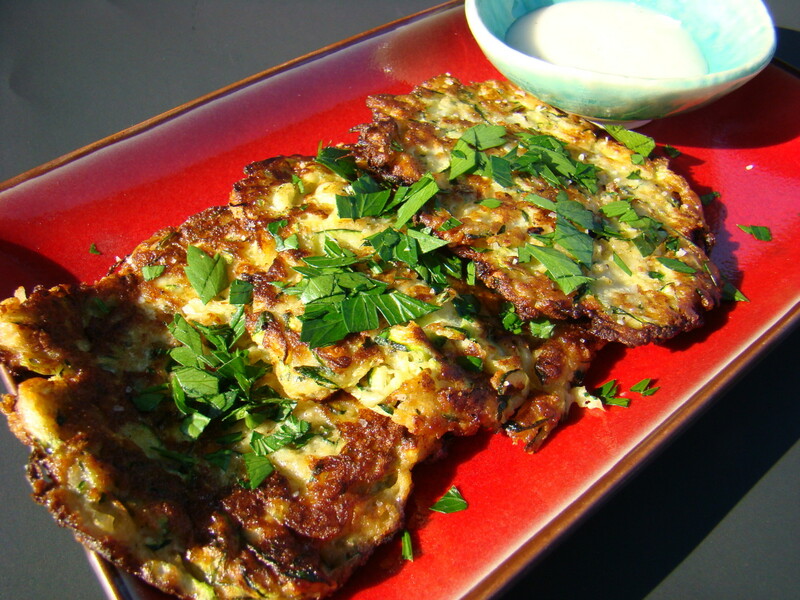 I love recipes that included eggplant or zucchini. I live in Argentina and it seems like zucchini and eggplant is always in season and inexpensive. >Hi Jacquie, Thanks for coming by. Zucchini and eggplant are two of my favorites too! I'm getting mine from the garden right now. Nothing better than home-grown and fresh picked!. Thanks again for stopping by!